As a visualist I have an incessant appetite for gear. The inaugural Plug N Play Brisbane on Tuesday reminded me that it doesn’t have to be this way, however. While I rocked up with bags and boxes of computers, cables, cameras, controllers and hardware, others arrived with a single laptop, and of course were able to put equally compelling material on the screen. Or, to be perfectly honest – more-compelling material, as I struggled to remember which icons were required to get 3L‘s automation chains working. Debilitating addictions aside; everyone present was interested in my source for cheap security cameras, BNC converters, HDMI cables and other necessary items, so I’m guessing that the rest of the community may also enjoy: DealExtreme (disclosure: Affiliate links used, if you buy stuff I get a cut). DealExtreme has a huge range of, basically, ephemera: iPod batteries, LED torches, cable converters, chargers… The type of things you’d get for $20 in a local shop, or you could find on eBay for $2 plus $15 shipping. DealExtreme matches those deceptively cheap eBay prices, and then proceeds to not charge shipping, which puts everything into the category entitled “Ridiculously Cheap Stuff”. RCA-BNC Adapter – useful for those who have recently upgraded to a V8. HDMI Cables – For some reason these always seem to be approaching $100 in Australian stores. Goes beautifully with your HD camera and Blackmagic Intensity card. Various weird and wacky webcams. Weird and wonderful LED strip things. Unfortunately those most-useful of VJ items – S-Video and RCA cables, Firewire cables, preview monitors etc. don’t show up, but this might save you money on the might-need-them-occasionally items, or bits and pieces for your next physical computing project. As with any other source of cheap gear, sometimes you may find that it’s not quite what you asked for, or it may just plain Not Work. 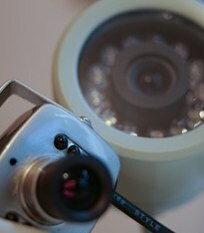 Fortunately there’s a reasonably robust feedback and review system (users get affiliate points for writing reviews or uploading images), so you can at least make a partially informed decision, and if that $12 security camera doesn’t work out, you probably won’t feel too bad about hacking around inside it.